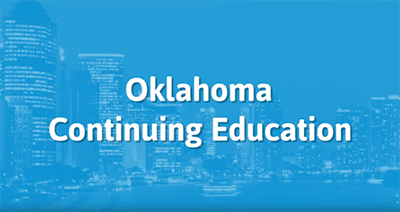 This 19 hour continuing education package focuses on important aspects of life and health insurance. The instruction will begin with a discussion of the concepts of risk and insurance in general, and then progress into a further discussion of life insurance specifically. We’ll examine different types of life insurance and some of the common policy provisions found in life insurance policies. Then we’ll take a separate look at the types of health insurance available in the market today, as well as the provisions commonly included in those policies. Once we’ve had an overview of life and health lines, we’ll go a bit more in-depth, starting with a segment on retirement planning and qualified retirement plans. The student will receive instruction in simplified employee pensions, profit-sharing plans, and tax sheltered annuities. After looking at qualified plans and retirement, the student will be exposed to different types of disability income and similar insurance, including medical and dental insurance. This section will be followed by a section that undertakes a more individualized discussion of medical plans, group health insurance, and dental insurance. From there, our course takes the student into the world of Medicare and Medicare related health plans. While in this segment, the student will learn methods for determining if clients are eligible for Medicare, and for determining which Medicare coverage options are available. Along with Medicare, there will be a short segment on long term care and what it takes to guide a client through the process of selecting a suitable long-term care insurance policy. In the final two segments, we’ll discuss the federal taxation of life insurance and health insurance, in which students will learn the methods for estimating how either a life insurance policy or benefits, or a health insurance policy or its benefits (or both) will affect a client’s taxes. Following the course of instruction, there will be a final exam in order to assist students in retaining the information they have received retain the information. 10. Producers and Agency Relationships: What is Agency?